This may be news to some of you but for those that are familiar with my blog, you know that I am a tea lover! I drink all types of tea during any part of the day. One of my favorites is rooibos tea (in green and red varieties). At night when I’m avoiding caffeine but still want a tea flavored with milk and honey, rooibos is my absolute go-to. Now that you know I love to drink green rooibos tea, you might be surprised to learn that I use it for more than pleasing my taste buds. I have found that it is also a great addition to my beauty routine. Green rooibos tea (Aspalathus Lineris), also known as “bush tea”, originates from the West Cape Province of South Africa. While this tea is harvested from the same plant as more commonly known “red bush tea” green rooibos is processed a little differently. After the leaves are picked they are specifically treated to prevent oxidation in order to preserve the natural state of the leaf. In either the red or green form this caffeine free, antioxidant-rich tea is an excellent option for those interested in its many health benefits. Rooibos tea has long been appreciated for its health benefits including treatment for sleeplessness, mild depression, asthma, digestive irritation and as an aid in weight loss. While this tea boasts excellent health benefits when ingested it can also serve as a wonderful topical remedy. 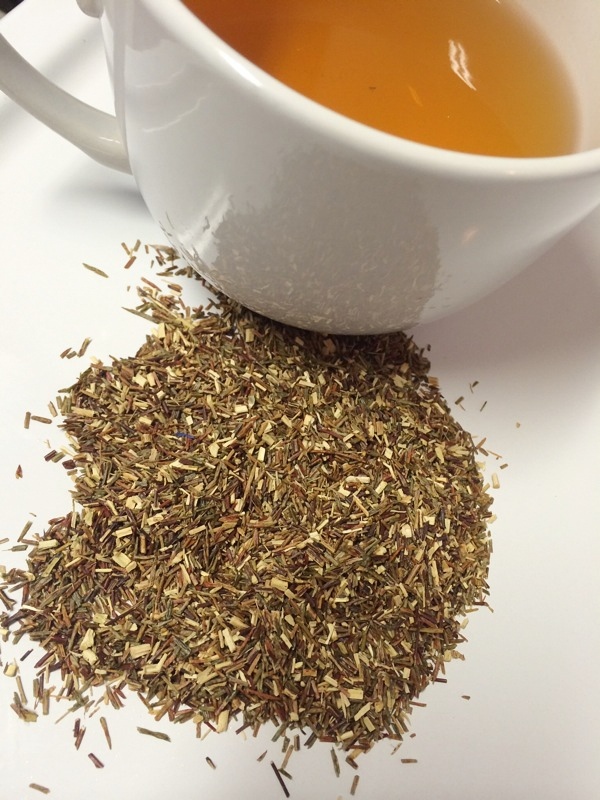 Traditionally, rooibos tea has been used to treat skin issues such as sunburns, acne, and eczema. This usage is probably due to the fact that rooibos tea is high in antioxidants called flavonoids, which help combat responses to allergens. Some ways that you could begin to incorporate this tea into your beauty regime include using it as a spot treatment for acne, a soothing face rinse or as an addition to face masks. To treat acne steep green rooibos leaves in water and allow the resulting water to cool completely. Then use a cotton ball to apply to areas of concern. The zinc and alpha hydroxyl acid in the leaves should give that acne a 1-2 punch. Pow! To create a soothing rinse for irritated skin, use the cooled tea as a rinse after cleansing your face with a gentle face wash. You may also use a bit of luke-warm rooibos tea in your DIY face masks. The bottom line is that green rooibos tea is an all-around beneficial herb to have in your cabinet. It serves as a perfect base for soothing skin treatments and let’s not forget that it tastes great when flavored with organic milk and honey. If you give it a try please let us know what you think! *Disclaimer: These conclusions are based on our personal experiences, opinions and research. Scientists or medical professionals have not verified these claims. For concerns about the nutritional value or allergy exposure potential associated with green rooibos tea please consult a medical expert. Wow… I did not know rooibos helped with acne and allergies. I was on the fence about it but I will definitely work it into my diet. Great read! Hi Loremi, thanks for reading! It’s an all-around great tea and has a long history of being used for healing properties. It’s also quite tasty. If you try it please come back and let us know your thoughts.